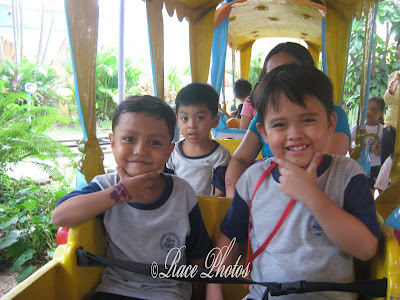 Here are Josh and school buddy Carl making 'pogi' (handsome) poses while riding in EK train. They simply love to go in the rides there together. They laugh, chat and enjoy each ride as long as they're partners. They seem like brothers and Josh is definitely the younger because obviously Carl is a lot bigger than him. They go to school together but the teachers decided to put them in separate sections to prevent them from being so active lol! See my other entry here! For more RT and WW entries and pics click the badges! Still looking nice and having fun. friends are great to have. Cute picture! Looks like they are having fun. itchy chins? ha ha.. or are they posing to look like each other. too cute.